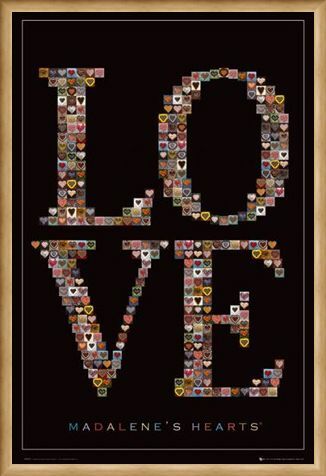 Motivational Maxi Poster: Spread some love throughout your home with this gorgeous maxi poster which is bursting with beautiful love hearts. 'Madalene's Hearts' is a collection which features hearts made from all kinds of materials including shells, food and even toothbrushes which show that love can come from even the smallest of things. 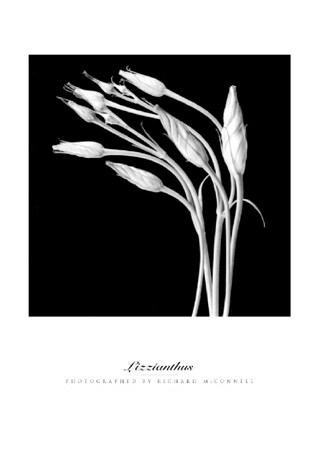 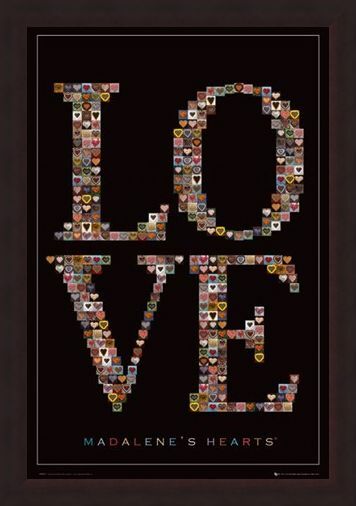 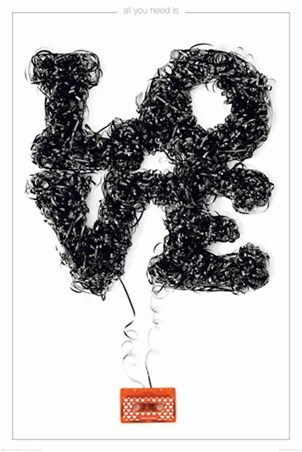 The word 'Love' is spelt out with a collection of these crafted hearts against a black background which makes it really stand out. So why not show someone how you really feel with this lovely maxi poster which is sure to radiate that loving feeling to your nearest and dearest. High quality, framed Love, Madalene's Hearts poster with a bespoke frame by our custom framing service.